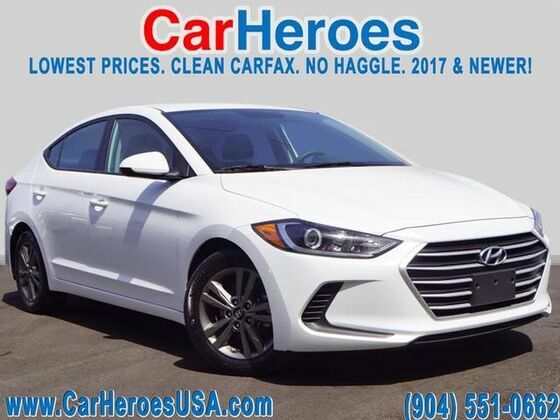 CarHeroes is honored to present a wonderful example of pure vehicle design... this 2018 Hyundai Elantra SEL only has 31,506mi on it and could potentially be the vehicle of your dreams! This Hyundai includes: QUARTZ WHITE PEARL BLACK, CLOTH SEAT TRIM *Note - For third party subscriptions or services, please contact the dealer for more information. * This 2018 Hyundai Elantra comes with a CARFAX Buyback Guarantee, which means you can buy with certainty. The 2018 Hyundai offers compelling fuel-efficiency along with great value. You will no longer feel the need to repeatedly fill up this Hyundai Elantra SEL's gas tank, in part because of it's superb EPA rating. Look no further, you have found exactly what you've been looking for.